Trevor Minyo, a local high school student, recently returned from studying at Yale University. Minyo was a participant in the Yale Young Global Scholars Program. The Yale Young Global Scholars (YYGS) Program was founded in 2001 under the name of Ivy Scholars. Since that time, YYGS has been expanded to include six unique sessions and renamed to reflect the program’s dedication toward educating international students. The members of the program leadership team are all employees of the university, and most instructors are Yale affiliates, including Yale undergraduates, Yale graduate students, and Yale alumni. This program is “highly selective” and “gives students an unforgettable summer experience.” This year represented the largest and most diverse group of applicants the program has ever received, representing over 130 different countries and all 50 states. 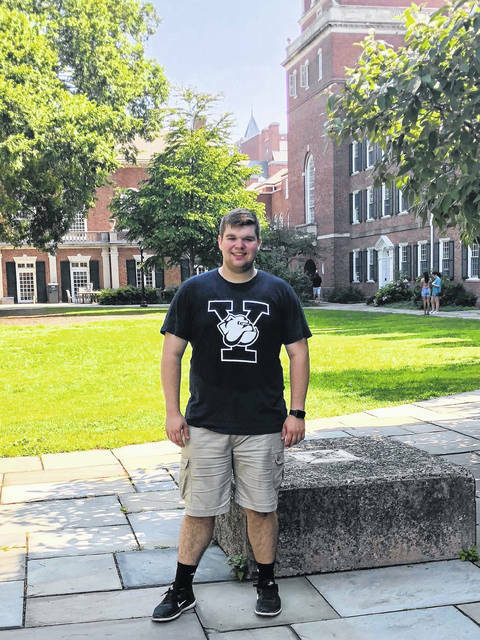 The program reflects the college experience at Yale, from the competitive admissions process (7 percent acceptance rate) and residential life to academics and social life. Minyo joined 256 other YYGS students this summer in New Haven, Connecticut to attend the Politics, Law, and Economics session. Minyo described the program as “an amazing experience,” saying, “it was humbling to learn from renowned scholars at such a revered institution, collaborating with students from all around the globe.” Minyo enjoys studying social sciences and plans to pursue a career in business law.